If anyone embodies the most antiquated orthodoxy of the Cuban political system, it is undoubtedly Jose Ramon Machado Ventura. With his frail gait and infinite power, the vice president of the Councils of State and Ministers represents the most reactionary and ultra-conservative wing of the island's government. Thus, the excessive role he has gained in the media in recent weeks worries many. 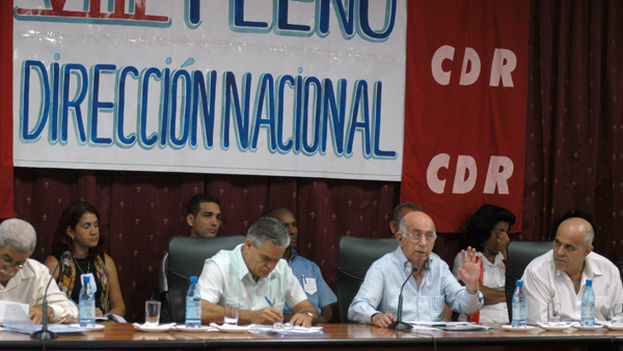 This octogenarian, who acts as if he knows everything, represents what should end once and for all in Cuba. He incarnates this old-fashioned power that only approaches those below only to demand from them greater efficiency and more sacrifices. In his person is the sum of despotism, arrogance, the superiority of someone who hasn't boarded a bus in decades, nor counted out the centavos to buy a a couple of pounds of chicken, and much less felt the cold emptiness of a refrigerator maintained on the average monthly salary. Fortunately for the future, Machado Ventura will be one of those faces that are lost in history. Like in one of those jokes so popular in Eastern Europe that later jumped to the island, when someone looks for their name in some encyclopedia and finds barely a succinct note. Perhaps it will say he was a "cadre of the Cuban Communist Party who lived during the era when Cubans resumed the practice of decorating with trees and garlands at Christmas." 14ymedio, Cuba's first independent daily digital news outlet, published directly from the island, is available in Spanish here. Translations of selected articles in English are here.